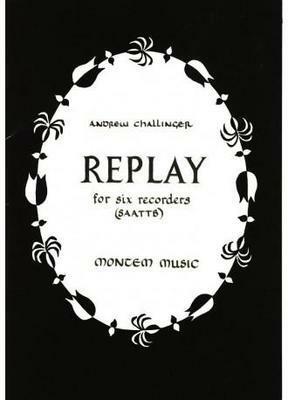 Sheet music for ensemble of six recorders (Descant, 2 x Treble, 2 x Tenor, Bass) by specialist recorder composer, Andrew Challinger. This tricky eight-minute piece is made up of several contrasting sections, some of which re-appear. What do you want to know about Replay?